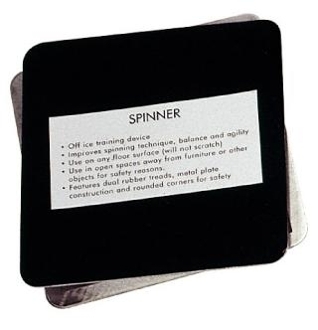 The Figure Skate Spinner is an off ice training device. Practice balance and technique for your spins on any flooring surface. The Spinner has a metal plate construction, rubber treads and rounded corners for safety.